Understanding programming and programming languages requires knowledge of the underlying theoretical model. This book explores aspects of programming that are amenable to mathematical proof. 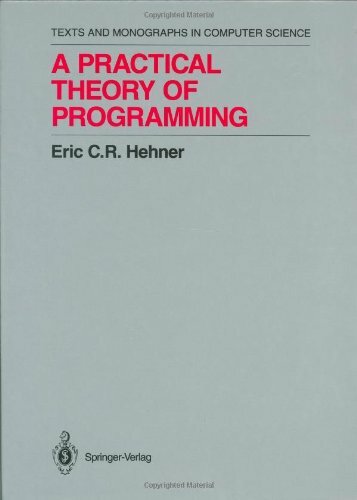 The author describes a programming theory which is much simpler and more comprehensive than the current theories to date. In the theoretical model, a specification is just a boolean expression and refinement is just an ordinary implication. The author develops a practical and broad method for writing precise specifications and designing programs whose executions probably satisfy the specifications. Topics covered in these notes include the untyped lambda calculus, the Church-Rosser theorem, combinatory algebras, the simply-typed lambda calculus, the Curry-Howard isomorphism, weak and strong normalization, type inference, etc.